Oishii Onigiri Easy to Make - Hello everybody, welcome back with ZetiraKitchen! today i want share to you how to make Onigiri. onigiri is typical of japanese food. but, onigiri is also called omusubi (おむすび) or nigirimeshi (握り飯) depending on the region. 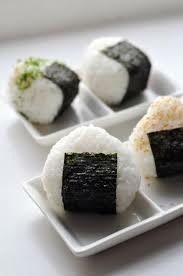 Japanese people eat onigiri when they do not have enough time for lunch. so this onigiri becomes their alternative to shorten their meal time. We can make onigiri easly at home, so let's try to make it!